The Regional Minister of Health of the Community of Madrid, Enrique Ruiz Escudero, visited the facilities of INMUNOTEK in Tecnoalcalá (Alcalá de Henares – Madrid). On March 15, the Regional Minister of Health of the Community of Madrid, Enrique Ruiz Escudero, visited INMUNOTEK after being awarded the prize for the best Innovative Company granted by CEIM-CEOE. José Luis Subiza, CEO-President, made a brief presentation of the company and the R&D projects that INMUNOTEK is developing in collaboration with different hospitals and centers in the Community of Madrid. He highlighted the research lines that the company has in immunotherapy for allergic, infectious and neoplastic diseases. He took the opportunity to present the INMUNOTEK Foundation, recently created, and its main objectives. Then, they made a tour to the production facilities, in order to learn about the manufacturing processes and control of their products. The visit was accompanied by Luisa María Fernández, General Director of Madrid Activa, the public management company of Tecnoalcalá, and the managers of INMUNOTEK. La entrada Visit of the Regional Minister of Health se publicó primero en Inmunotek. The project presented by the iGEM-Madrid team has been awarded with a silver medal and nominated as the best project of its category in the iGEM 2018 competition held in Boston. The iGEM competition originated in 2003 at the Massachusetts Institute of Technology in order to encourage the development of biosynthetic applications among students and recent graduates. At present, this competition has an international dimension with the participation of hundreds of teams from more than 40 countries. 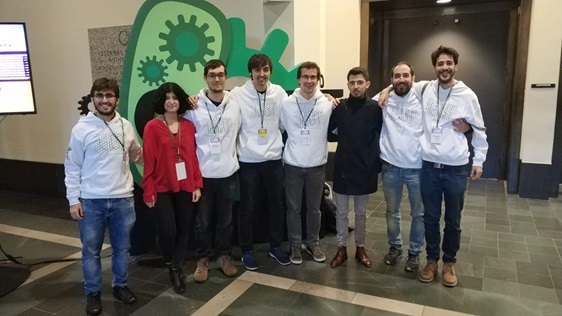 This year a team from Madrid (iGEM-Madrid) has been presented for the first time, made up of students and recent graduates from various faculties of the Complutense University of Madrid. His project IoBT (Internet of Bio-Things) is an integration of engineering, biosensors and data transfer in real time over the internet for the quantification of allergens in the air of cities. His prototype has earned recognition in the competition held in Boston where more than 300 teams from all over the world have performed. The iGEM-Madrid team has been sponsored by INMUNOTEK. The iGEM-Madrid team: Francisco Javier Quero Lombardero, Laura Armero Hernandez, Rodrigo Hernández Cifuentes, Iván Martín Hernández, Borja Sánchez Clemente, Ignacio Albert Smet, Guillermo Fernández Rodríguez, Gonzalo Saiz Gonzalo. La entrada iGEM 2018 competition se publicó primero en Inmunotek. INMUNOTEK is awarded as Best Innovative Company and distinguished as one of the three companies with the largest International Expansion, in the first edition of the CEIM Awards, granted by the Confederation of Entrepreneurs of Madrid – CEOE, Spain. This recognition is granted to companies that have stood out during the year, both for their contribution to economic development, job creation and for their work at the service of the community. Mr. Javier Ruiz, Deputy Minister of Economy and Competitiveness of the Community of Madrid has been in charge of giving the award to Dr. Enrique Fernández Caldas, Scientific Director of INMUNOTEK. The award ceremony was attended by the president of CEIM, Juan Pablo Lázaro, the president of the Chamber of Commerce, Ángel Asensio, institutional representatives, prominent personalities and other businessmen, among which Pedro Manuel Rollán, Vice President of the Community from Madrid; José Ignacio Goirigolzarri, president of Bankia; Clemente González, president of IFEMA, Fernando Martínez, director of Fundación Universidad-Empresa, some of whom are in charge of awarding the prizes to the winners. The president of CEIM, Juan Pablo Lázaro, highlighted the work of the participating companies and their projects that contribute to the momentum and dynamism of the Spanish economy. He praised the daily effort they make to develop their work. “They are an example for all entrepreneurs and for this reason we have wanted to recognize them with these awards”. 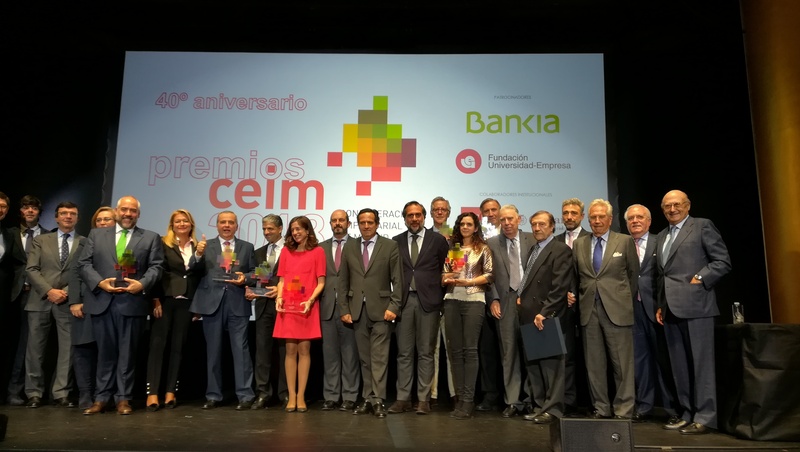 The CEIM Awards are part of the 40th anniversary of the Confederation of Entrepreneurs of Madrid. La entrada INMUNOTEK awarded by CEIM as best innovative company se publicó primero en Inmunotek.